The Georgia Tech Procurement Assistance Center (GTPAC) was honored this week by the Association of Procurement Assistance Centers (APTAC), the organization which represents 98 procurement technical assistance centers (PTACs) across the United States, Guam and Puerto Rico. 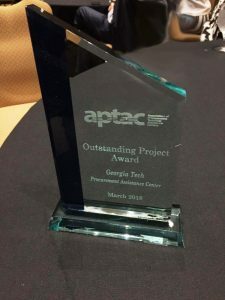 GTPAC was presented with APTAC’s Outstanding Project Award which annually recognizes an accomplishment that stands out from the day-to-day activities that all PTACs organize and undertake. The project recognized by APTAC is GTPAC’s instructional video that provides step-by-step guidance to government contractors on how they can achieve compliance with Department of Defense (DoD) cybersecurity requirements designed to safeguard DoD information and report on cyber incidents. GTPAC’s video and accompanying resources – including a template which contractors may use – are made available free of charge on the GTPAC web site at: http://gtpac.org/cybersecurity-training-video. The video and template have been heralded both by PTACs, who counsel businesses, and by businesses themselves as valuable one-stop resources for existing contractors and aspiring DoD contractors alike. Since the launch of these training tools at the end of last year, 1,284 persons have viewed the video and downloaded the template 1,508 times. 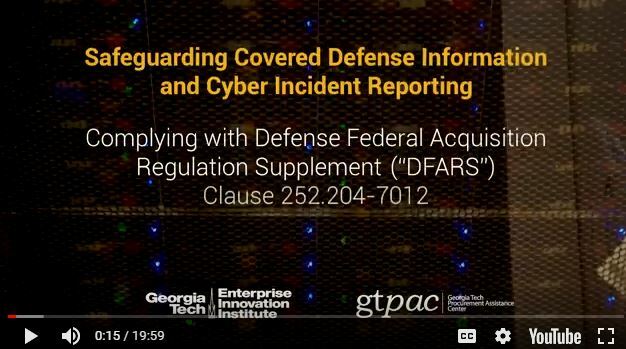 The 20-minute video not only provides information on these requirements, but also provides specific guidance on how government contractors can achieve compliance with the DFARS clause and the NIST standards. The video guides government contractors on how they can perform a “self-assessment” of their information system using NIST’s Manufacturing Extension Partnership (MEP) Cybersecurity Self-Assessment Handbook. 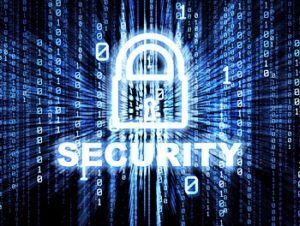 One of the most creative and innovative aspects of the project is the 127-page cybersecurity template GTPAC created in conjunction with the video. The template provides step-by-step instructions on how government contractors can create a “Systems Security Plan” and “Plan of Action” – documentation necessary to achieve compliance. The resources GTPAC created are very timely in light of recent warnings from DoD that it plans to request and evaluate cyber plans from businesses as a part of the contract award decision-making process. If the video is carefully reviewed and the template is fully completed and properly filled out, contractors will be in a position to document their compliance with the DFARS cybersecurity requirements. Members of the GTPAC team proudly show off the national award they received. GTPAC program manager Joe Beaulieu points out that “by providing the video and cybersecurity template, GTPAC’s objective is to make the process of achieving compliance much easier, especially for small defense contractors who may not have the resources necessary to develop such plans from scratch.” Indeed, the template makes the process of drafting the required documentation easier, as contractors merely have to fill in the blanks and answer specific questions, rather than work from a blank slate. While it is ultimately up to the contractor to meet the requirements and to provide accurate information, GTPAC’s video and template provide contractors with an excellent starting point for assessing, achieving and documenting compliance. In honoring GTPAC with the Outstanding Project Award, APTAC encouraged other PTACs to make use of the video, template, and resource materials posted at http://gtpac.org/cybersecurity-training-video. NIST recently provided similar encouragement to their nationwide network of MEPs in their work with U.S. manufacturers. GTPAC coordinated the creation of the cybersecurity materials with the Georgia MEP (GaMEP) which, like GTPAC, is a part of the Georgia Institute of Technology’s Enterprise Innovation Institute (EI2). EI2 is Georgia Tech’s business outreach organization which serves as the primary vehicle to achieve Georgia Tech’s goal of expanded local, regional, and global outreach. EI2 is the nation’s largest and most comprehensive university-based program of business and industry assistance, technology commercialization, and economic development. GTPAC is a state-wide program operated by EI2 under a cooperative agreement with the Defense Logistics Agency (DLA). In 2017, Georgia businesses won more than 5,000 government contracts – worth more than $1 billion – with GTPAC’s help. All totalled, GTPAC provided counseling, instruction, and bid opportunities to 2,548 Georgia businesses during the past year. 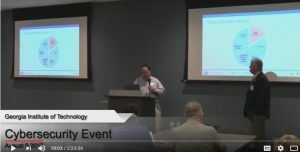 Video coverage of the August 9th seminar on Cybersecurity Requirements for Federal Contractors is now available for viewing, along with pertinent printed resources. 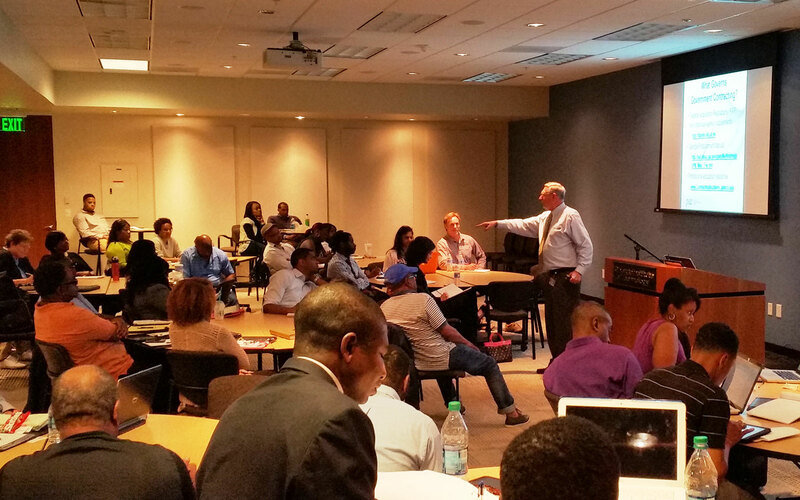 The Georgia Tech Procurement Assistance Center (GTPAC) co-hosted the recent event, along with the Georgia Manufacturing Extension Program (GaMEP). 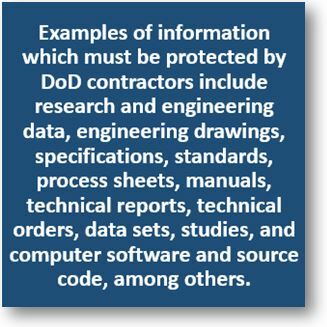 At the end of this year — if you are a Department of Defense (DoD) contractor or hope to be one — there are new cybersecurity requirements that will be in your contract that will require you to limit access to your information systems, identify system users, and take measures to safeguard federal contract information (FCI). Your compliance with these rules, among others, require documented processes and procedures. And, similar requirements are expected to be included in other federal contracts in the near future. Access to the video is right here. Following introductory remarks, details on the cyber requirements begin at the 18:00 minute mark in the video. Click on the image above to start video. GTPAC will continue to provide to our clients additional cybersecurity compliance materials as they become available. Businesses in the energy sector are invited to come to the Georgia Tech Research Institute (GTRI) in Atlanta on October 4, 2016 to learn about a new program designed to help small- to medium-sized enterprises access national lab capabilities and assets. 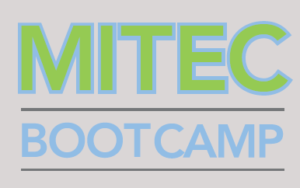 The MITEC (Manufacturing Impacts Through Energy and Commerce) boot camp is part of the commitment of the U.S. Departments of Energy (DOE) and Commerce to support U.S. manufacturing by connecting businesses with the resources they need to succeed. 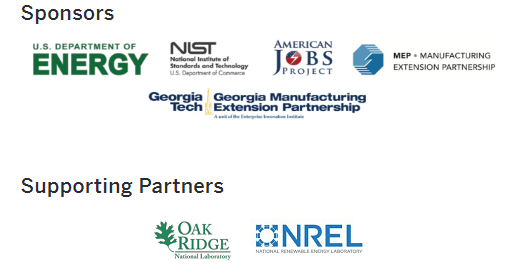 Attendees will get a chance to spend a few hours to learn how you can engage with two DOE National Labs — National Renewable Energy Lab (NREL) and Oak Ridge National Lab (ORNL) — to scale a material, utilize a set of mixed equipment for testing with expert advice from a scientist and/or engineer, and more. Leading experts will also provide information on several federal funding opportunities to work with the labs. Attendees also will have a chance to learn how to work with the the Georgia Manufacturing Extension Partnership (GaMEP) to integrate new ideas and technologies into your manufacturing. The featured keynote speaker will be Dr. Thomas R. Kurfess who served as the Assistant Director for Advanced Manufacturing at the Office of Science and Technology Policy in the Executive Office of the President. He had responsibility for coordinating Federal efforts in advanced manufacturing R&D. Panels will discuss the capabilities and resources of the national laboratories, how to access these resources, and other assets available for Georgia businesses. Ample time will be provided for networking and visiting exhibits. Participants also must be willing to take a 10-minute pre-event survey. water and afternoon snack. The event will take place from 9:00 am to 3:00 pm. This map shows where the Georgia Manufacturing Extension Partnership (GaMEP) assisted Georgia manufacturing companies during 2015. The Georgia Institute of Technology will receive $13.5 million in federal funding over the next five years to continue a program that has assisted small- and mid-sized manufacturing companies in Georgia for more than half a century. The funding will be used by the Georgia Manufacturing Extension Partnership (GaMEP), which serves manufacturers through a network of 10 regional offices and more than 30 extension personnel statewide. In fiscal 2015, the GaMEP assisted nearly 2,000 Georgia manufacturers, helping them create or save 2,149 jobs, invest $106 million in facilities, reduce operating costs by $25 million and increase sales by more than $200 million. Established in 1960, the GaMEP is a program of the Enterprise Innovation Institute, Georgia Tech’s business assistance and economic development unit. GaMEP offers assistance in such areas as lean and process improvement, quality management, energy management, sustainability and business growth – which includes new customer development, new market expansion and new product development. GaMEP also connects companies to resources and expertise at Georgia Tech, which is ranked among the top U.S. public universities. The funding, announced September 1, will take the form of a five-year cooperative agreement in which federal funds will be matched by state funds and contracts with manufacturers requesting assistance with a broad range of technical, managerial and marketing issues. The federal funding is provided by the U.S. Commerce Department’s National Institute of Standards and Technology (NIST), which awarded more than $180 million to organizations in 11 states and Puerto Rico, as part of its efforts to enhance the competitiveness of U.S. manufacturers. The awards will go to organizations in Alabama, Arkansas, California, Georgia, Louisiana, Missouri, Montana, Ohio, Pennsylvania, Puerto Rico, Utah and Vermont. Continued funding is subject to the availability of annual appropriations and successful annual reviews. Proposals were reviewed by government and independent experts and evaluated against a number of criteria, including demonstration of a thorough understanding of market needs and how proposed service offerings would meet those needs. The reviewers also looked at the proposed business models, performance measurements and metrics, partnership potential, staff qualifications and program management, as well as financial and nonfederal cost-share plans. The new agreement reduces the centers’ cost-share burden by reducing the amount of required matching funds from nonfederal sources. For every dollar of federal investment, MEP clients generate nearly $17 in new sales, which translates into $2.3 billion in new sales annually. And for every $1,900 of federal investment, MEP creates or retains one U.S. manufacturing job. Since 1988, MEP has worked with more than 86,000 manufacturers, leading to $96.4 billion in sales and $15.7 billion in cost savings, and it has helped create nearly 800,000 jobs. For more information on GaMEP, please visit gamep.org. Jackson Smith, Khatera Ballard, and Wes Jones have been friends for years. What started out as a conversation has turned into an 18-person craft gelato manufacturing company that is growing rapidly. In the past four years they have grown to manufacture and distribute to more than 100 restaurants and 85 retail locations across the Southeast. Additionally in the past six months, they signed a deal with Delta to put their gelato in the first class section of cross country flights and have opened their first retail location in Ponce City Market. Those two deals alone have doubled their manufacturing output. As a kid Nathan Wilmoth was adventurous – he once attempted flight with just a parasail and a tractor! After getting off track during his teenage years and early 20’s, he went back to school as an adult and graduated from Georgia Tech with a 4.0. Now as the Vice President of Operations for M.A. Industries in Peachtree City, GA, he has co-authored six patents, manages a great team of individuals, and gets to tap into his childhood love of design and experimentation every day. Nominations for the 2016 Faces of Manufacturing will close on October 31, 2015. Please nominate someone you know or forward the nomination form to HR managers, plant managers, and owners/CEOs of manufacturing companies and ask them to nominate their staff for this award. 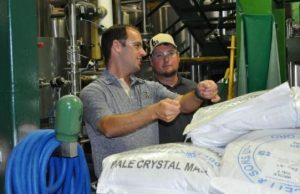 http://facesofmanufacturing.com/call-for-nominations. Recipients of Faces of Manufacturing have earned local, state, and national recognition for their companies, cities/towns, and counties.